Drop in Drawing every Thursday!!! Wow, I can not believe how much fun I had opening my studio to London last weekend. I want to thank all of my incredible friends and family for helping everything run so smoothly. It was such an incredible experience. Below are some highlights of the weekend tour. The Introduction to Printmaking and Advanced Printmaking classes had a bit of an open house/exhibition on April 7th. Students were able to come and see each-other's work and check our the other classes' projects. 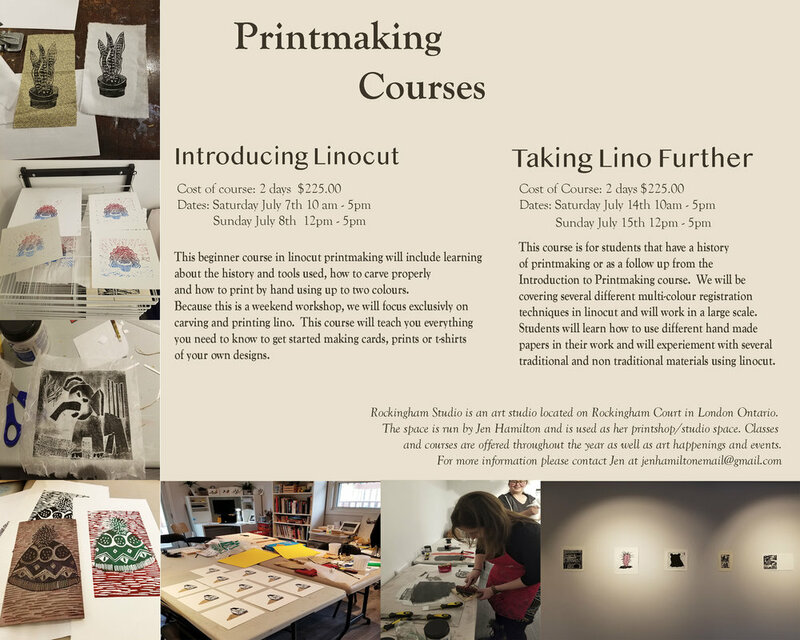 Their work is a mixture of linocut, woodcut, monotype, collagraph and drypoint. So beautiful seeing it all hung up.